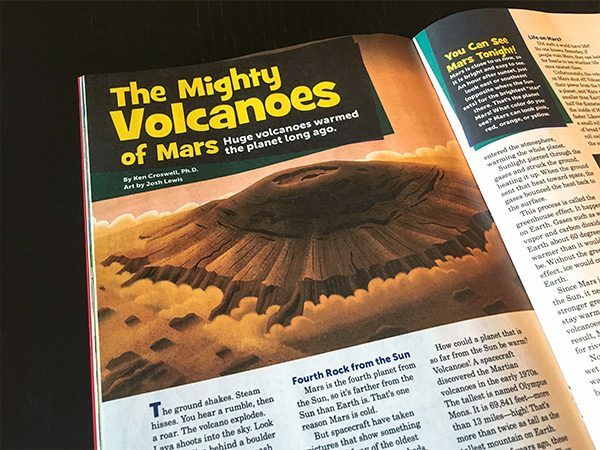 These two illustrations accompanied an article on volcanoes of Mars in the latest issue of Highlights Magazine. 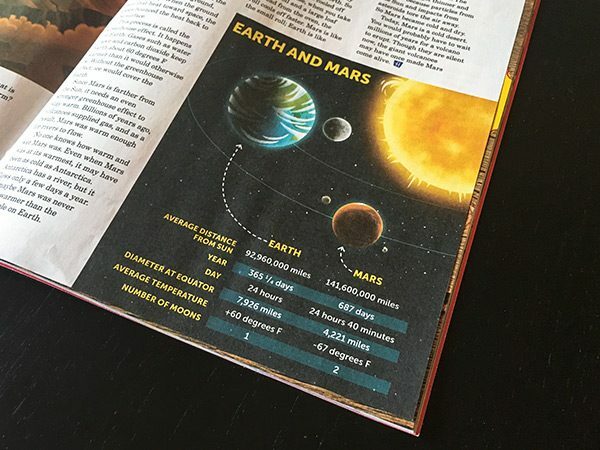 I had the opportunity to illustrate Olympus Mons, which is the largest mountain in our solar system — roughly 2.5 times higher than Mt. Everest.